We are so very blessed. That's my mantra at the moment. Now for an update on Bodie. After a rough couple of days, he finally appears to be getting the upper hand on this nasty virus! Praise God! The virus had really moved into his lungs a few days ago and he had to go up to much higher levels on the high-flow oxygen (up to 7L) and they had to add in breathing treatments (involving albuterol treatments to dialate the lung vessels, percussion therapy to loosen up the mucus and suctioning to get out the gunk that got loosened up). Bodie has actually been a pretty good sport about the albuterol and percussion (which is basically like a really hard massage), but drew the line at suctioning (not that I can blame him, since it essentially involves sticking something either up his nose or down his throat). The good news though is that it's all working! He's off the high-flow oxygen and down to 0.5L of the regular nasal canula, so they've restarted his feeds(they can't feed him on high flow oxygen since it increases the risk of aspirations and if he threw up, they wouldn't know whether it's from the feeds or all the air in his belly). Also, his BNP is now down below 3,000! YAY! Praise God! 1. They just restarted his feeds today, so they have a protocol to go through to get him up to full feeds. Pray that he tolerates the feeds well so that they can get him up to full feeds soon, allowing us to get him back on the bottle! 2. Pray that his BNP continues to drop. 3. Pray that his heart function looks better on his next echo. 4. He's been a bit of a crankypants (not that I can blame him - I mean, he does have a lot of reasons to be cranky, even without a virus and a bacterial infection at the same time); please pray that he really starts to feel better so that we get to see our smiley guy again soon. 5. Pray that he heals enough that the doctors agree to send him home and let us chunk him up at home for the next surgery. Thank you so much for all of your prayers for Bodie - they have clearly carried him through his and he continues to amaze the doctors and nurses. Please keep the prayers coming! I have heard several doctors and nurses (not to mention friends) in the past 2 weeks tell me that they can't believe how positive my attitude is through all of this. The truth is that it's not always easy to remain positive, especially during times like the week before last when Bodie was getting sicker and no one could figure out why. I have moments where the unfairness of it all catches up with me and I can't help but cry. But then God settles my heart and changes my perspective. The bottom line is that we are so very blessed to still have Bodie with us. The reality is that there are no guarantees with any of our children, and especially not with hypoplasts. 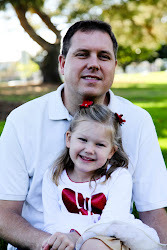 There is no guarantee that a single ventricle child will make it to term, or be a good candidate for the 3-stage surgery, or survive until surgery, or make it through surgery, or come off of heart-lung bypass, or come home from the hospital, or make it through a cold or respiratory infection, and on and on. It is a hard road, and there are so many parents who've lost single ventricle kids at each one of those critical points. So, to have Bodie with us, to sit next to him in the hospital, to work so hard to get him to smile, to get to hold him and even be worrying about increasing his feeds or whether we get to take him home or not - these are all privileges and there are so many parents who would give anything to have had the opportunity to have their single ventricle kids with them long enough to even face the kind of struggles we're facing. So, yes, today we are indeed feeling so very, very, very blessed. Bodie is doing fine. Not great, but he's hanging in there, fighting this virus with everything he has. Our little man is such a fighter! The virus has moved into one of his lungs, so he's sounding a bit junky and working a bit harder to breathe - so they put him on a high flow nasal canula to help him out. We're hoping he'll start to get better in the next few days. The good news is that his heart is getting better - his BNP is now down to around 3,700, so definitely trending in the right direction! His platelets are also increasing well (and he tested negative for the heparin antibody, which is wonderful news - one less thing to worry about in the future). And in other wonderful news, after 2 and 1/2 long months in the CTICU, Addie moved to the step-down floor today! Here is a picture of her with her awesome mommy, Dana! We are so excited for her and inspired by the progress she's made. Thank you all for your prayers for the sweetie! Oh boy was Bodie ever a pistol today. He slept most of the day, but when he was awake, he was MAD! Poor kid was screaming so much, but since he did nothing but cough for the past 3 days, he has totally lost his voice (what little voice he had, that is). It's so sad. I'm sure he's just miserable from being sick, having a sore throat, having coughed too much to get any sleep the night before, not eating, etc. It turns out he has Paraflu, which is worse than Rhinovirus (the nurse was wrong when she told me that's what he had tested positive for), but it's not as bad as it could be (there are much worse viruses). It definitely explains why Bodie decompensated so badly last week. The cardiologist today said that the bad case of c-diff could've explained what happened last week, but the additional virus explains it even more - almost an aha moment. I also asked whether it would explain his elevated bnp and they said absolutely. His heart is having to work harder to beat the virus, so can't focus on healing itself. I noticed yesterday that Bodie's heart rate had been 120-130s all day and it had me a bit worried since he usually rides his pacer at 109 or 110 when he's calm. It was back down to 109 today - the docs said that's a good sign that he's getting over the virus. Good news is that this virus usually only lasts 2-3 days to a week. While he's going through it, they'll keep him on the milrinone and some supplemental 02. Once he gets to the other side of it (maybe as early as tomorrow - as we know, it's up to Bodie), they expect to wean him off everything. 1. Pray that Bodie is past the worst of the virus and starts on the healing side of things. 2. Pray that he turns around enough to be weaned off the milrinone and the 02 tomorrow or Friday. 3. Pray that his feeds go well. They started him on Pedialyte yesterday afternoon, but they stopped feeds because he threw up this morning (they're not too concerned since Paraflu can cause that, but they wanted to let him rest, so they stopped feeds all day). They restarted him this afternoon. Please pray that he takes to it well so that they can put him back on breastmilk soon. Bodie had a pretty good day today. He's back on room air (no more nasal canula, yay!!!) and he pulled his NG tube out, so he's temporarily completely wireless (on his face, at least), so I'm guessing he's liking that! 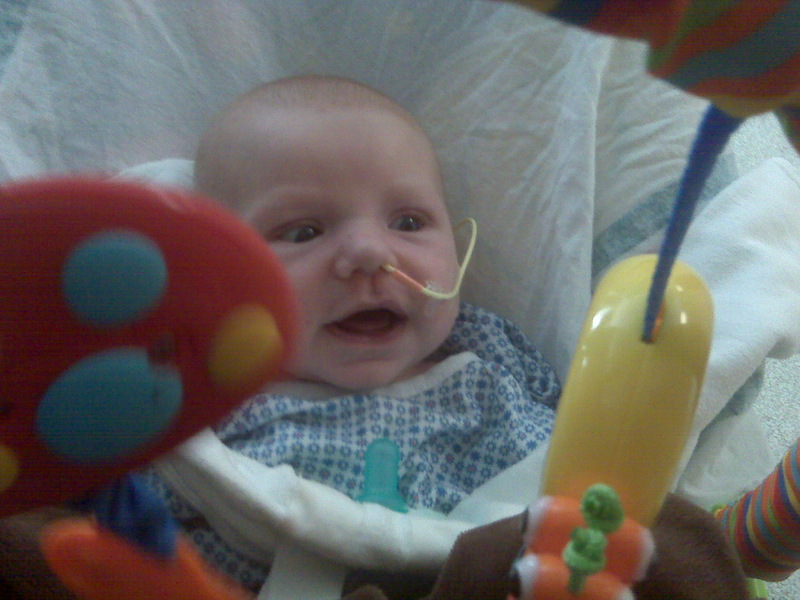 He was also very smiley today - all of the nurses keep talking about how cute he is now that they can see his face! 1. His platelets have been consistently low since Saturday, despite 3 tranfusions so far (they're doing another one tonight). It's most likely just from the infection - they have to wait for his body to catch back up and start producing platelets. But there is a small chance it could be from a heparin antibody related condition, whereby his body responds to the heparin they use to flush his lines, by not producing platelets (or something along those lines). They have prophylatically taken all heparin out of his lines and sent his blood to be tested for the antibody. Hopefully it will come back negative and we just have to wait for his body to catch up. If it comes back positive, it will mean he can't have heparin for the rest of his life (a big pain for future surgeries, from what I understand). 2. He developed a cough yesterday that's gotten a bit worse today. Yesterday they thought it might have just been from the extubation, but they ran a viral panel today just to make sure he doesn't have a virus in addition to the C-Diff. (We don't have the results yet, but it honestly wouldn't surprise me if he has a cold of some sort, given that his roommate on the 6th floor was hacking up a lung the last 2 days we were there.) It definitely makes him uncomfortable - I feel bad for him. 3. His BMP today shot up a lot. That's essentially a measure of heart inflammation and heart failure. I think a heart healthy kid's BMP should be under 300, but they allow cardiac kids to be closer to 500. Bodie's is now over 5,000! Apparently, it can be reactive, meaning something within the last 24-48 hours caused it. But they're not sure what, since clinically speaking, he's improved a lot in the last 24-48 hours. I think if it turns out he has a virus, that might explain it. They're still looking into it to figure out what's happening with our little man. 1. 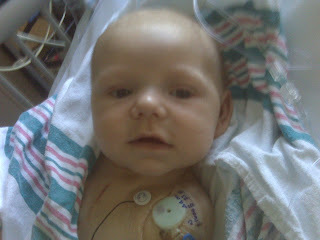 Pray that his body starts producing platelets again so that his levels come up to where they should be. 2. Pray that his cough goes away, so that he can start resting more comfortably. 3. Pray that either he does have a little virus, or they can find some other relatively innocuous explanation for why his BMP rose. 4. Pray that his BMP starts dropping back down and that his heart function starts to improve. Bodie came off the vent today! And went to straight nasal canula (that's the first time he hasn't had to go to Vapotherm first!) Praise God - your prayers have clearly been working!!! He is just blowing everyone away by how quickly he is recovering! He even smiled at me a few times! If we have learned nothing from this little guy, we have learned that he is a FIGHTER! The cardiology fellow stopped by today and we had an interesting discussion. They're still trying to figure out why Bodie decompensated as badly as he did. When I asked whether it couldn't all be explained by the untreated c-diff, he told me he didn't think do. They have heart kids (even hypoplasts) that get c-diff symptoms for days before treatment that don't get as sick as Bodie did. They are thinking that perhaps it has to do with the size of Bodie's shunt. They put in a HUGE shunt during his last surgery (5mm) due to his severe pulmonary hypertension and unexplained dependence on oxygen. Well, wouldn't you know it - his pulmonary hypertension appears to have resolved itself so well that he's left with a giant shunt sending oxygenated blood to his lungs. (Yes, that means we have some awesome prayer warriors praying for Bodie!!!) That's fine generally, but if he ends up getting sick or getting an infection of some sort and his body sends out an inflammatory response, all of the sudden his heart, brain, etc. Have to compete with his lungs for that blood. So, because of that, they're now talking (are you ready for this?) about doing an EARLY Glenn (maybe Jun/Jul)!!! Craziness, I tell you. I think it's way too early to get too excited about anything (this really is just a theory at this point) - we should know more with certainty once Bodie recovers and the doctors are able to piece together what happened. 1. For Bodie's body to continue to heal. 2. For his heart function to improve, so that he is able to come off the Milrinone. 3. For him to come off the nasal canula back to room air. 4. 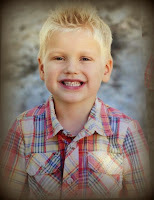 For wisdom for the doctors to accurately determine what happened to Bodie and to develop the best plan for the future. 5. Pray that they decide to let him come home!!! Bodie is still steadily improving, thank God! They're hoping to extubate him tomorrow - and probably start weaning his sedation a bit (they like to keep them pretty doped up while they're still intubated as it's fairly uncomfy for them). Please pray specifically that he is extubated tomorrow and that he continues to improve dramatically! We plan to have another conference with the doctors on Bodie's condition early next week - please pray that the doctors decide (as I suspect) that Bodie is not in fact that fragile, but instead ended up in the state he was in because he wasn't managed properly on the step-down unit (which is a whole other matter I intend to discuss with them during that conference as well - Bodie should NEVER have been allowed to deteriorate to the point that he did; in fact, the only reason he ended up in the CTICU when he did is because I called the Rapid Response Team (a "2nd opinion" emergency team that parents can call if they believe their child is in critical condition or simply isn't been treated effectively)). I would guess that any child (even a heart healthy one) with symptomatic c-diff that was untreated for a week would probably not be in great shape. So, we are thinking Bodie's condition had more to do with that than any fragility inherent in him. Please pray that the doctors agree! That would mean he could go home rather than staying until his second surgery! 1. Jacob - he's home now!!! And doing wonderfully. 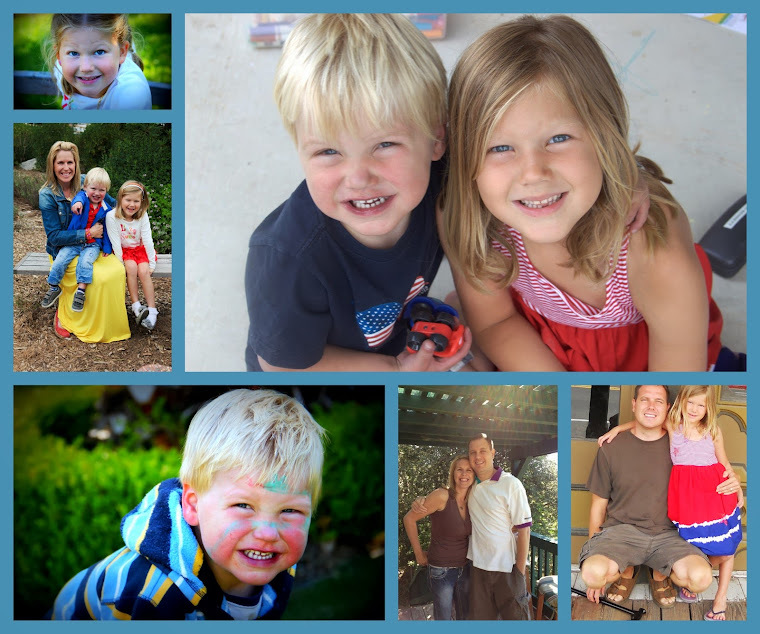 Please continue to pray for his family as they settle into life with a high-risk child. I just wanted to give you all a quick update that Bodie continues to improve. He had a good day today - all of his labs have been consistently improving (one of the doctors said he has done a complete 180 since yesterday morning). All of the doctors are really happy with his progress. I believe the plan is just to let him continue to recover and then to see where we're at (in terms of whether he'll be able to come home before his second surgery). Please pray that Bodie continues to heal really quickly!!! Oh my - all I have to say is that I want to know which one of you has a direct line to God, because He has already started answering our prayers!!! Less than an hour after updating the blog, the doctor came and told me that Bodie tested positive for c-diff, a nasty bacterial infection that can cause vomiting, bloody stools, loss in appetite and (drumroll, please) horrible fits of pain exactly like what Bodie has been going through!!! So now they know what caused his downfall and they can easily treat it with antibiotics! Praise God!!! The doctor was thrilled. They also can explain the reduced heart function by the c-diff, as they expect to see some reduced heart function in single ventricle kids after illness like this - and they expect the function to improve over time as he heals. I don't know that this changes the long-term prognosis we discussed with the doctor today. Possibly. But what we do know right now is that he is definitely doing better and is positively responding to everything they're doing. Praise God! Please continue to pray that he totally blows the doctors away and they change his long-term prognosis!!! Today was a really tough day. They spent the better part of the afternoon stabilizing Bodie and then took Dusk and I into a conference room (never a good sign, by the way). We had a long talk with the doctors and the long and short of it is that Bodie is REALLY sick - his heart function has deterioriated as have his liver and kidneys. (Don't know how he managed to get so sick in the hospital while I was trying to tell them that I thought something was seriously wrong, but that's honestly a line of thinking I just can't go down). This is not the troubling part of it - as I understand it, this is not permanent damage and hopefully function in these areas should improve as Bodie recovers over the next few days. They still don't know what made him so sick, but they're working on that. The troubling part is just how fragile Bodie is, as we've clearly seen in the past month. To put it into perspective, at CHLA, approx 85% of hypoplasts who make it through the first surgery make it to the second. When I asked the doctor today if Bodie was more likely to be in the 15%, he confirmed that yes, Bodie's complications make that more likely. He also said that he didn't anticipate that Bodie would be able to leave the hospital before his next surgery, the Glenn. He also said that while the Glenn surgery typically makes most kids really strong (almost as "normal" as heart healthy kids), he did not expect it to do that for Bodie. While it will definitely make him less fragile, he will continue to be fragile. So you can see, it has been A LOT to take in and Bodie needs prayers for another miracle. God has protected him so far and helped him to continually beat the odds. We have faith that God has great plans for our sweet son and that He will continue to protect him. Please, please, please pray for a miracle for Bodie and that he again astounds the doctors and makes them revise all of their expectations for him! Bodie had another fit/episode this morning and he had a really hard time recovering. He's now back in the CTICU and intubated. Once again, our sweet boy is fighting for his life and the doctors don't know why. Please, please, please pray for him!!! Oh wow, was today ever a tough day. Bodie is NOT a fan of his ng tube feeds and threw up during 2 feeds today. He also doesn't want to eat from his bottle at all. It makes sense - if he has an upset tummy, he doesn't want to eat and he will throw it up if we force it in. (And we think we're so smart going around the bottle!) They're putting him on iv fluids tonight to let his gut rest. They are now thinking this is definitely milk protein intolerance, especially since I cut dairy out a couple days ago and his stools are now back to normal. But I guess his entire gut hasn't realized that yet. He's also been having more of his horrible fits - they're so scary. He turns burgandy, is completely inconsolable, starts sweating profusely and then turns pasty white, rolls his eyes back into his head and goes to sleep. I swear each one of these fits ages me 10 years - so I figure after today, I've got to be close to nursing home age! I talked to the pain team about it today and they think he was dropped too quickly on the hydrocodone, so adjusted his dosage back up. I'm not sure it made much of a difference, so I plan on asking tomorrow if we can use a different drug. So if you're following along, we brought a slightly fussy baby who loved to eat with blood in his stool into the ER; 3 days later he's been replaced by a manic-depressive kid who alternates between smiling at the nurses and throwing his fits; oh, and who won't touch a bottle with a 10 foot pole. What the what? Are you starting to understand why Amy is at the edge of her sanity? 1. Pray for Bodie's tummy. Pray that it settles down so that he's not so uncomfortable. 2. Pray that Bodie starts eating well again. 3. Pray that the pain team can get Bodie's withdrawal under control so that he stops having these scary fits. 4. Pray that Amy has the patience and grace to handle all of this. Days like today make it kind of hard to stay positive and hopeful. Just pray that I am able to better trust God and His plans for our sweet little guy! 5. Pray for Dusk, who has basically turned into a single parent yet again since Amy has been unable to leave the hospital given Bodie's current state; and Sierra, who is really missing her mommy and her family unit. Well, it appears we're going to be here longer than we had initially expected. Bodie again has the doctors stumped (like that surprises us, right?). The bloody stools went away for a half a second and then have been coming and going since then. He has added to that a general lack of desire to eat (I know, absolutely out a character for him!!!) and sweaty screaming fits when he's hungry (but then gets so worked up that he won't eat - it's a particularly vicious circle). He's fine, smiley and happy most of the time, unless he's hungry or we're feeding him. Really fun times. They don't know what's going on, but because he's not eating, they put an ng tube in to get his full feeds in him (he can take what he wants by mouth and they put the rest through the tube). They're thinking it's either an ulcer or a milk protein intolerance. The problem is, the only way they can know for sure is via endoscopy (which is invasive and they'd have to put him under for it, which they don't want to do.) So, they're starting with milk protein intolerance first - I've cut all dairy from my diet and if we don't start to see at least a little improvement in 2-3 days, they can rule that out. In the meantime, I've asked for a pain team consult. Even though it may very well be a milk protein intolerance, I cannot help but feel that something else is going on. It is just way too coincidental that all of his symptoms (especially the fits where he turns pasty white and literally starts dripping sweat) all started when we started weaning his narcotic (he was switched from morphine to tylenol w/hydrocodone the day before we were discharged last time, and then we did a slight wean down on that last Thursday). Hopefully the pain team can come up with something for us. Needless to say, it's frustrating to watch. I know God has already taken care of him through everything already and will get him through this as well. I also know this is nowhere near as serious as what we were facing last time. But it's still frustrating to be in "wait and see" mode when you just want it figured out so you can start fixing it and get your child home!!! Please do keep praying for Bodie. Please pray specifically that his weightloss has stopped and that he can now start gaining again. And pray that they find a cause for his sweaty fits. And pray that he starts eating well again. Thank you so much prayer warriors!!! In any case, Bodie seems to be doing well. They still don't know what's causing the blood in his stools (although that seems to have abated at the moment, thankfully), and he is definitely less interested in eating and has lost weight (clearly it's all inter-related, but they don't know the cause). One theory is that he has an intestinal bug (should get cultures back in a couple of days to prove/disprove that); another theory is that he has a milk protein allergy (if he's still having problems in a few days, they'll probably have me try cutting dairy out of my diet and see if that helps). Or it may be something else that just resolves on its own. In any case, our stay shouldn't be more than a few days hopefully! They just have to get him back to full feeds and gaining weight. Thank you so much for your prayers not just for Bodie, but for entire family. Truly, they have meant so much and made such a difference! Please keep them coming. I will update once we know anything more. Please pray for Bodie, that whatever this is gets resolved quickly (they think it's either a med reaction or a bug - my bet's on a bug of some sort) so that we can come home soon. And pray for Amy, who is really missing having her family together in one place and has really hit her limit with all of this and could use an extra measure of grace at the moment. And please pray for Dusk and Sierra, back home alone again, waiting to hear how Bodie is doing. WAIT! WHAT?!?!? RUN THAT BY ME ONE MORE TIME - WHAT DID YOU SAY? YES, FOR REAL, WE ARE HOME! 2 weeks post-surgery! Praise God!!! And Bodie is doing so well! We are settling back in to living all under the same roof again (what a wonderful adjustment to make, right?). Bodie seems a bit overwhelmed (I suppose I would be too, considering he spent the exact same amount of time in the hospital this second time (3 weeks) as he spent at home between the two surgeries - who knows if he even remembers home). But, tonight, he gave us 3 big, beautiful smiles! Honestly, he had not smiled in probably a week and we were so missing it - so it gives me such peace to see his smile now and to know that he must be feeling better! YAY! Here was his smile (the best chance I could get to catch it on camera). 2. 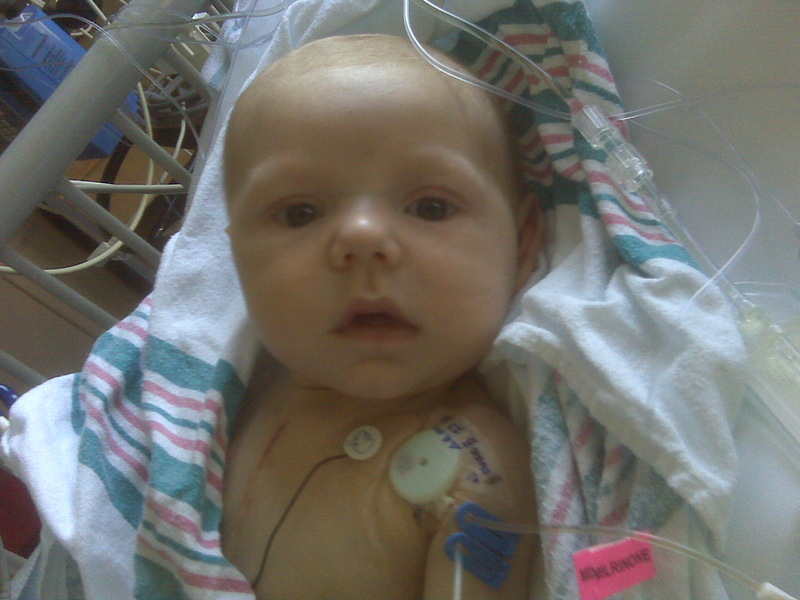 Jacob: Jacob had his cardiac catheterization yesterday and did awesome! His pressures were good (that was a huge concern for the doctors) and they've now decided that he's stable enough to go home! He is set to be released to the Ronald McDonald House Thursday and then all the way home next Monday. Pray for continued strength and weight gain for Jacob and peace for his mama Kathy as she gets ready to take him out of the hospital and care for him all by herself for the first time! Thank you amazing prayer warriors!!! You are all making such a difference! God bless you all!!! See that??? Tubes are GONE! As unbelievable as it is to write this, it appears that Bodie has gotten yet ANOTHER miracle!!! His final GI study, the saliva scan, was this morning - and it came back completely normal! That means he's not even micro-aspirating his saliva. And if he's not aspirating that, which is really thin, the thought is that it's highly unlikely that he's aspirating his feeds, which are thickened. So (drumroll, please!) - they're saying NO G-Tube and he can go back home on thickened feeds!!! PRAISE GOD!!! Actually, they were already leaning in this direction last night, so pulled his NG tube and moved him to all PO feeds (all oral feeds and meds). And he's done great so far! He's up to 2oz every 2 hours, which is a far cry from the 4oz he was eating before we brought him in, but honestly I think he was probably overeating a bit since he just didn't feel well due to such low cardiac output. We're going to slowly increase his feeds until he gets to a point where he's comfortable - but my guess will be that it will end up being around 3oz a feed or so. He's also eating a bit slower, which is nice to see - he used to inhale his feeds and was almost manic about the bottle. He's a little more chill about it now - and him eating a bit more slowly makes me feel better since it really reduces the risk of any aspirations. Speaking of chill, I had written a few days ago that he was such a happy relaxed baby now. Well, apparently he heard me saying that so decided he needed to act out. Wednesday and Thursday he was IMPOSSIBLE - so fussy and agitated. He would calm when I held him, but just couldn't handle it if I tried to put him down. He was also super sweaty, which can be common for cardiac kids, but hasn't been with him in the past. I was a bit worried since these symptoms had coincided with starting his oral feeds back up - but I was holding out hope that it was due to the teeny-tiny morphine weaning they'd been doing. So, they put him on a patch that's designed to help with narcotic withdrawal, and ever since, he's back to his (new) calm self. Thank God!!! What a relief that is - to know it's just drug withdrawal and we'll work through it! 1. His little morphine addiction. He can go home on the patch (thankfully!) and then we'll wean him off the patch once he's home. But his morphine is still via IV. So, they have to switch him to oral morphine (or methadone) and find someone (either his pediatrician or CHLA's Pain Management team) willing to work outpatient with him and manage his pain as he weans. I don't think it'll be a long process, but they don't want to keep him in the hospital just for that. 2. He is still on hydrocortisone via IV. They put him on that when he was decompensating and they were basically throwing the kitchen sink at him trying to stabilize him. They can probably just take him off of it (since he's shown no history of adrenal issues), but occasionally, it can supress the body's own cortisol production and in that case, they'll have to do a slower wean and send him home on oral steroids for a week or two. Again, doesn't sound like a big deal, but they have to work out the specifics. They're hoping to have this stuff figured out early next week and get us home!!! We can hardly believe it! There is no question that we have just had miracle after miracle with our little man. It is clear to us now that he should not have even made it to his second surgery - and yet, here we are 2 weeks later, already talking about discharge and going home on full oral feeds and on NO OXYGEN!!! PRAISE GOD! We cannot thank you enough for the prayers for our little man in the past few weeks - there is no question that God intervened because of all of your prayers. We can never thank you enough for that. Love to you all! 1. 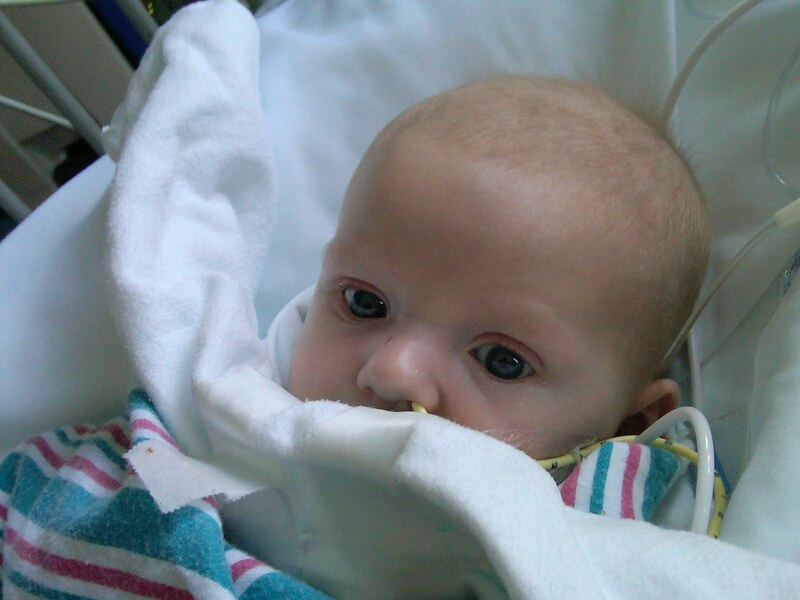 Addie: she is a sweet little 8 month old who has ALCAPA (Anonymous Left Coronary Artery) (super rare - even more rare than HLHS) and wasn't diagnosed until she was 6 months old. She had surgery 2 months ago, but because her heart was so damaged from the 6 months she went undiagnosed, she has a long road to recovery ahead of her. It sounds like the doctors are happy with her progress and optimistic about her prognosis, but it's a long road ahead of her still. Then, to top it off, I stopped by to see her mom yesterday and she's in isolation due to infection. It sounds like it's a pretty bad one (her grandmother said something about incubation). 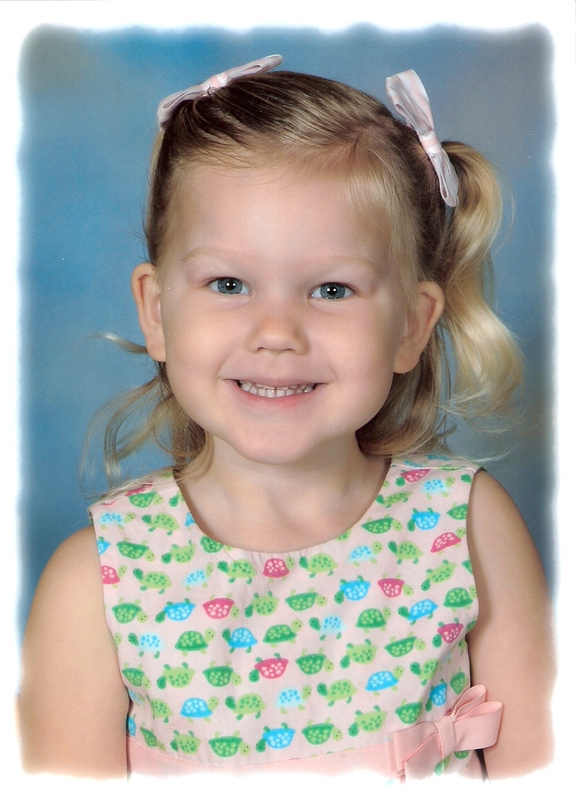 Please pray for this sweet girl - she does not need anything on top of what the poor thing is already going through. Pray for a miraculous recovery for her little body. And pray especially for her parents, Mark and Dana (and her older sister and brother), for strength, patience and peace to know that God is in control. 2. Jacob: I've asked for prayers for Baby Jacob before. He's the cute little guy who was born a bit after Bodie (also with HLHS) and had some pretty serious complications at birth. I think he's about 6 weeks post op at this point and still in the hospital at CHOP. It sounds like he's doing well, but he's having some residual lung issues causing him to breathe too fast (like Bodie, he had a restricted atrial septum, but his was a bit more restricted from what I understand). They are trying to decide whether he can go home or will have to stay in the hospital until his second surgery (at 4-6 months). Please pray for his cath, scheduled for Monday - pray they get answers and decide he is safe to go home with his mommy, Kathy (and to see his daddy and big brother Aidan, who just turned 3). 3. Christopher: Christoper, a sweet little 3 year old 2 weeks out from surgery (also has HLHS), was Bodie's roomate a few nights ago. He went home, only to come back for his post op appointment today to find out that his incision is infected. They have scheduled him for surgery Sunday morning to go back in and open the incision, clean and cut out the bad tissue, and then close him back up. Please pray that the infection is only superficial and that he (and his mom Heidi) get to go home soon!!! Bodie's tests were all supposed to happen Monday, but in true hospital fashion, they didn't even get scheduled until Monday, so they were today and Thursday instead. Today's test was a gastric emptying test. I was kind of confused as to why they were doing this one again since they already did it the first time we had the whole g-tube discussion (and no one could really give me a good answer as to why they were doing the test again), but since it's a noninvasive test, we were fine with it. The test showed normal stomach emptying (yay!) and reflux (which we already knew from the last time they did the test). I asked the Nurse Practitioner whether the reflux meant he would definitely have to get a g-tube and she said no, that all babies had reflux - Bodie will only have to get a g-tube if he's refluxing and then aspirating on the reflux. They're doing a saliva test Thursday, where they put some tracer in his saliva and then take some sort of scan of his lungs to see whether any of the saliva has gotten into his lungs. Here's the thing - he's on solely ng-feeds right now, so in order for the test to be of any use, they'd have to start him on bottle feeds before Thursday (otherwise, all the test would show is whether he's aspirating his saliva, which doesn't matter anyway and they wouldn't do anything about). It seems to me that what they need to do is give him a bottle with some tracer in it and then see if any of that gets into his lungs. But when I asked, all they said was "wow, that's a really good question. We just don't know the answer to that." The crazy thing is that none of the cardiac doctors or nurses have ever even heard of this saliva test (the test was recommended by the GI doc). So, the nurse practitioner is looking into it. So, our big prayer request for the rest of this week is that they let Bodie start taking bottle feeds again and they find out that he's not aspirating and let us come home!!! I meant to post about this yesterday, but completely forgot. 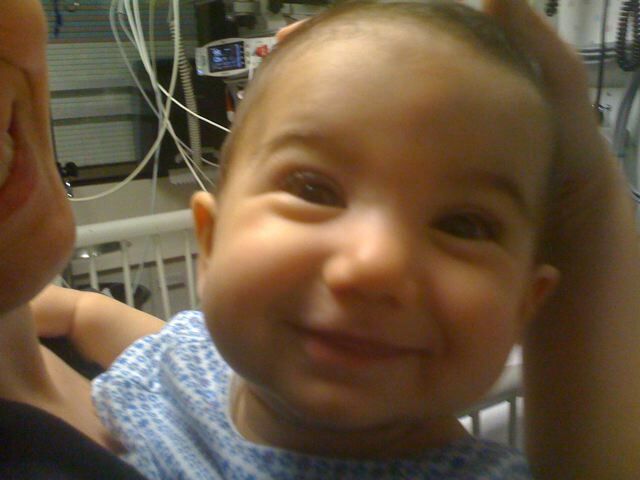 The night before Bodie's surgery, he spiked a fever in the middle of the night, so they ran cultures on him. The respiratory culture came back positive, but because his CRP was still low (one of the first indicators of a serious infection), they sent him to surgery anyway and started him on antibiotics. Well, Friday, we finally found out what the bug was and apparently it was a really bad one - bad enough that he has to be in isolation so that none of the other kids catch it(we have to wear gown/gloves/mask when we're with him now (well, that is, if the nurse is really strict)). (At this point, he's fine - they had him on the right antibiotic and I think he only has a day or two left - and he hasn't had a fever since.) I asked our nurse yesterday whether they would have sent Bodie to surgery if they'd known what bug it was. She said probably not, since kids going into surgery battling serious infections can really get into trouble and have bad outcomes. WOW. So, we already thought Bodie's recovery was miraculous - and that was before we knew he was battling a crazy respiratory infection at the same time. Praise God!!! Please continue to pray for Bodie. He is really doing great, continuing to tolerate his feeds through the NG tube (they've been steadily increasing them) and seeming a lot happier. But they're planning to run a battery of GI tests tomorrow that should determine whether he will have to have a g-tube. Please pray that the tests reveal he is NOT aspirating and will NOT need a g-tube. That would be another miracle for our little guy!! !